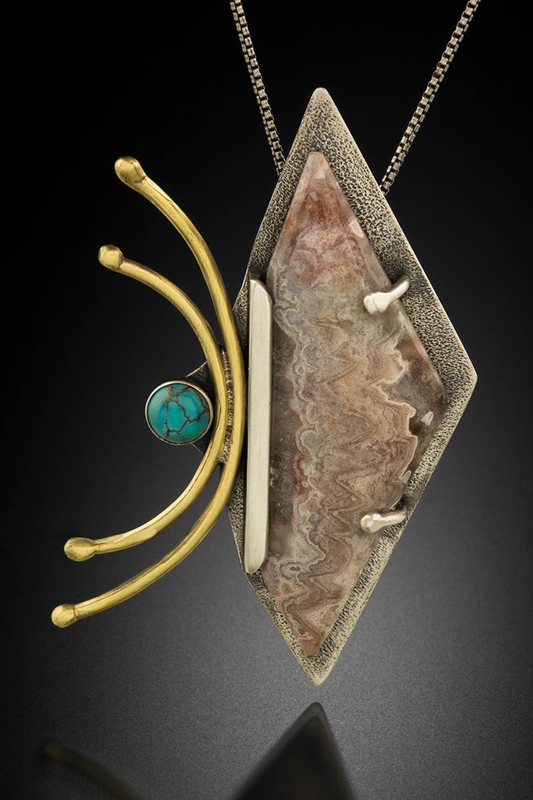 A freeform Lace Agate cabochon is the centerpiece for this necklace. It has a 10mm Turquoise cabochon set off by brass wire with balled ends. This piece is 2-1/4" tall and 1-1/2" wide and comes on a 20" Sterling Silver chain.